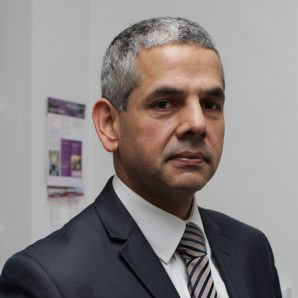 Professor Bhui has led research and learning programmes on ethnic inequalities in mental illnesses, suicide, self-harm, chronic fatigue, violence and traumatic experiences, homelessness, refugee experiences, drug use and Mental Health Act detentions in hospitals and in the criminal justice system, including prisons. He has been an advisor to the Department of Health and Public Health England, and formerly chaired the Royal College of Psychiatrists’ committees on public health and transcultural psychiatry. Bhui is Professor of Cultural Psychiatry & Epidemiology, Queen Mary University of London, and Consultant Psychiatrist, East London Foundation NHS Trust. He is Editor of the British Journal of Psychiatry and International Journal of Culture and Mental Health. He has supported three projects for the National Clinical Director on Mental Health (Consultation and Advice for NHS England, Public Health England, and providing a national public health online resource called Mental Health 4 Life).